Ever wonder why Peet’s coffee drinkers refuse to drink anything else? 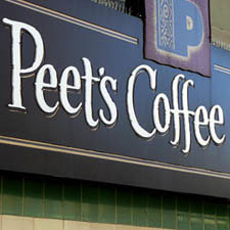 For more than four decades, Peet’s has attracted a growing family of loyal, almost zealous customers, known as “Peetniks”, for whom a cup of coffee could only mean a cup of Peet’s. By remaining true to the quality tenets of our founder – emphasizing knowledge, taste, and using the senses to evaluate quality at every step – Peet’s defines the gold standard.